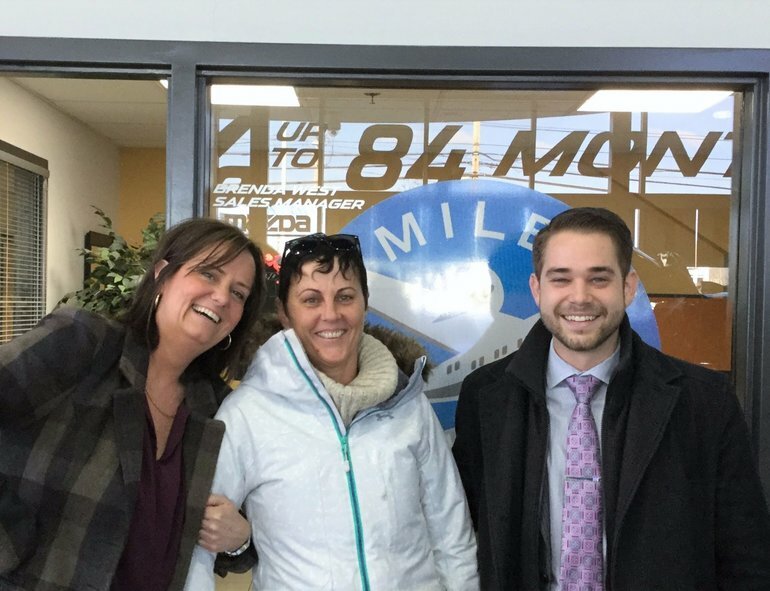 Managers Brenda West and Ken Lecesse were on hand to congratulate Donna Hoar on winning 5000 Air Miles for the month of November. What would you do with 5000 Air Miles? ?